If you didn't grow up around Irish or people of Irish ancestry, St. Patrick's day may be an enigma to you. So, here's what you need to know to celebarte it properly and fit in! Of course, different people and different ages celebrate the holiday differently. And although consumption of alcohol is a major part of the holiday, we are hardl;y going ot suggest that for under age children. So, we've broken the celebrations down into ways that are fitting for each group! And, like many holiday, gifts of candy left by leprechauns are traditional. Actually, there is a specific tradition just for that, similar to the Easter Bunny. Leprechauns, being mischevious wee folk (i.e. elves or fairies) are know to come into people's houses on the night before St. Patrick's day (March 16th), and knock things over. Children often make leprechaun traps in an attempt to caputure the little buggers. Wear green clothing, pins, hats, etc. Wear Irish hats (see example at Amazon). Cook a traditional Irish dinner (see this page) or go out to an Irish pub for dinner! You can get by just wearing lots of green. But hats, pins, costumes, etc. do help! Drinking beer: typically Guiiness stout or any beer colored green. Or any beer. Generally, lots of it. 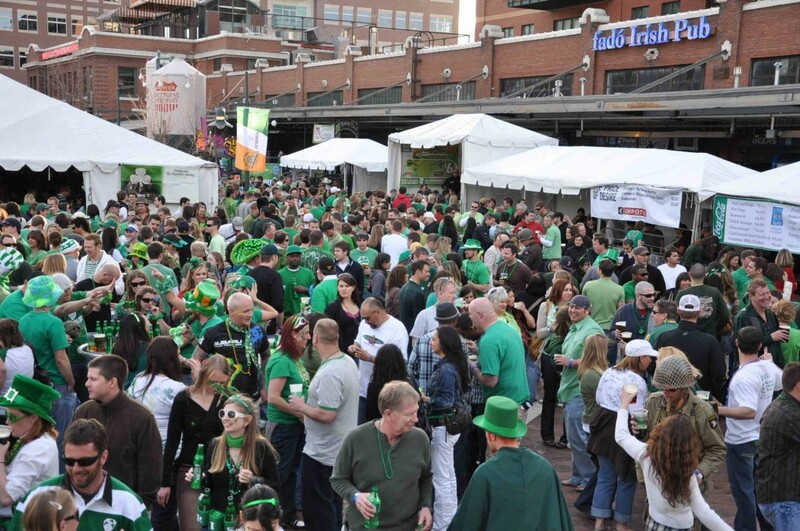 Most Irish pubs, like Faddo's have parties and special events. Cook a traditional Irish dinner (see this page) or go out to an Irish pub!